After leaving school at 16 years old Ace became an apprentice sign maker. He then joined his fathers roofing business before having a go at modeling. At 17 years old, Ace took up bodybuilding and he was also a keen tennis player. In 1996, Ace beat 60 other hopefuls for the place in the ultimate team. 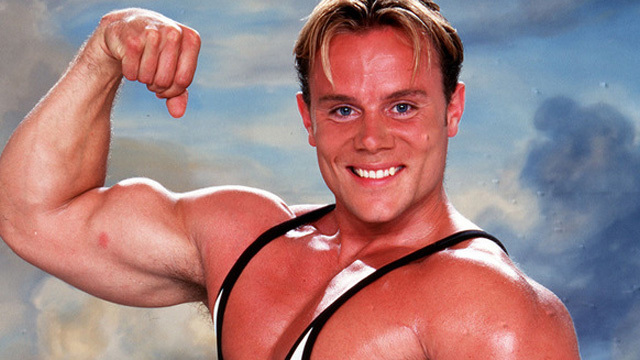 After the first series of Gladiators was screened in 1992, he had wanted to be in the show. He made a few changes in training to achieve his ambition and this involved losing some bulk and placing more emphasis in improving his all round fitness. Ace is a true asset to the Gladiators team. He is strong but agile, fit, focused and determined. He excels at a variety of events including Hang Tough which is his favourite. During the 1999 series of Gladiators - The Final Showdown, Ace was injured in the Supreme Champion Final during the Gauntlet event. He was knocked badly on the roof of his nose by contender Mark Everitt. He had a nasty cut on the top of his nose and backstage, Ace took a turn for the worse. He was then taken into hospital to be checked and later that evening was discharged. Fans will be pleased to know that he made a full recovery. Ace was also part of the UK international team and went to compete against South Africa in the Springbok Challenge 2000. He has two children.